KING STREET PATRIOTS TALKING PUBLICLY THURSDAY! 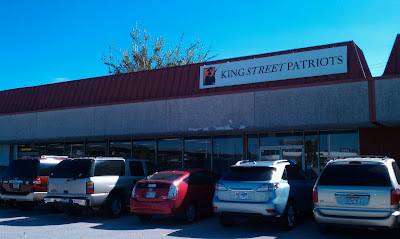 Posted in Uncategorized | Comments Off on KING STREET PATRIOTS TALKING PUBLICLY THURSDAY! The controversial conservative group the King Street Patriots has called a press conference for Thursday in Houston. The group, which has been accused of voter intimidation at the polls, plans to make a big announcement about the federal Justice Department. The Insite will keep you updated! OUTRAGEOUS: STUDENT ATTACKED AND KNOCKED OUT ON TAPE! Posted in Uncategorized | Comments Off on OUTRAGEOUS: STUDENT ATTACKED AND KNOCKED OUT ON TAPE! YOU FIRST SAW IT HERE ON THE INSITE: THEY WANT TO STEAL YOUR VOTE! Posted in Uncategorized | Comments Off on YOU FIRST SAW IT HERE ON THE INSITE: THEY WANT TO STEAL YOUR VOTE! THE BARAJAS MEDIA DYNASTY IS GROWING IN TEXAS! 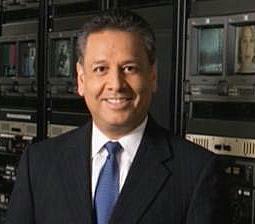 The Insite would like to congratulate FOX 26 anchor Mike Barajas for his growing media dynasty. 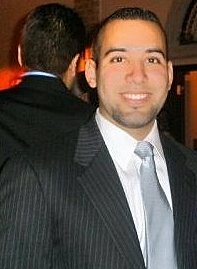 Many of you already know about Mike’s nephew Erik Barajas who’s an anchor and reporter at KTRK TV 13. But there’s a new addition to the journalism list. Mike’s son Bill Barajas, who recently graduated from college, is now a working reporter at KRGV TV in Rio Grand Valley, Texas…The operation is known as the dominant news station in all of South Texas. Mike tells the Insite he’s very proud of his son’s accomplishment. But Bill isn’t the only young Barajas left interested in television journalism. Mike says his his third son John Paul, who’s currently an athlete in school, is also interested in entering the business. Mike’s oldest son, Mike Jr., is currently enjoying a life as an account executive with Spark Energy…So, as you can see that Barajas broadcasting dynasty is growing! REPUBLICANS PLAN TO CUT THE FEDERAL BUDGET BY 40% WITH A LOSS OF 7 MILLION JOBS IF ELECTED! Posted in Uncategorized | Comments Off on REPUBLICANS PLAN TO CUT THE FEDERAL BUDGET BY 40% WITH A LOSS OF 7 MILLION JOBS IF ELECTED! Newsweek: Tea Party Republicans have talked a big game when it comes to deficit reduction, but one candidate just upped the ante. 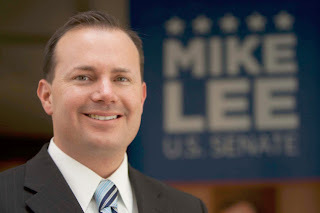 Utah’s Mike Lee, who currently holds a 20-point lead in his U.S. Senate race, told a crowd of supporters last week that congressional Republicans are planning to cut federal spending by 40 percent next year. Yes, 40 percent of the entire federal budget (exempting, of course, the two political golden cows: defense spending and Social Security). Step 1: Extend all Bush-era tax cuts. Step 2: Pass a completely balanced federal budget by slashing 40 percent of all spending. Reached for comment today, campaign spokesman Boyd Matheson told The Gaggle that Lee meant to use the 40 percent figure more as a rhetorical tool than a fixed estimate. Still, the candidate is calling on all federal departments to draft hypothetical budgets that could be implemented if a 40 percent cut were mandated. What’s more, Matheson says, the strategy is backed by “a growing group” of Republicans, reaffirming Lee’s original suggestion that the huge cuts and White House face-off are all part of the GOP’s master plan to massively shrink the federal government next year. So, the question becomes: is this really a sneak peek at Republicans’ future strategy, or has Lee drawn up a battle plan without an army? The Gaggle called Rep. John Boehner’s office to see if he was on board with the approach Lee sketched out. Boehner’s spokesman, Michael Steel, would respond only to the 40 percent figure, saying, “That’s not the commitment we made in ‘The Pledge to America.’ ” When asked whether threats to shut down the government were on the table, he hung up. TWO MEN ARRESTED AND SUSPECTED IN 150 BURGLARIES IN MONTROSE – DANG! Posted in Uncategorized | Comments Off on TWO MEN ARRESTED AND SUSPECTED IN 150 BURGLARIES IN MONTROSE – DANG! Houston police have arrested two suspects believed responsible for committing up to 150 home burglaries in the city’s Montrose area during the past year. Felony burglary charges are filed against both suspects, Leonard Keith Campbell (b/m, DOB: 10-21-60) and Bobby Henry (b/m, DOB: 1-18-70). Campbell is charged with two counts of burglary of a habitation in the 208th State District Court while Henry is charged with one count of burglary of a habitation and one count of evading arrest in the 180th State District Court. Photos of both suspects are attached to this news release. Officers in the Central Patrol Division said Campbell may be responsible for burglarizing up to 107 homes and Henry more than 50 residences since September 2009. That accounts for more than half of all home burglaries reported in the surrounding Montrose area during the past 12 months. The arrests highlight exemplary efforts of police officers and an area resident working together. In Campbell’s arrest on October 18th, Officer J. Obenhaus responded to a burglary of a residence call in the 2100 block of Park Street when he spotted a suspicious male walking with a lap top bag in the 2200 block of Dunlavy. When the suspect dropped the bag and fled on foot for numerous blocks, Officer Obenhaus ran after him and took him into custody as he was trying to jump over a fence. On October 22, a resident spotted suspect Henry taking glass out of a window and his head inside a residence. When the resident yelled at Henry to see what he was doing, Henry ran. The resident then followed the suspect and called police, relaying his location. Neartown Storefront Officer L. Laureano and other patrol officers arrived and took Henry into custody. Henry had a laptop on his person that was determined to be stolen from a home in the 400 block of Welch. COCKTAILS AND CANDIDATES IN HOUSTON! 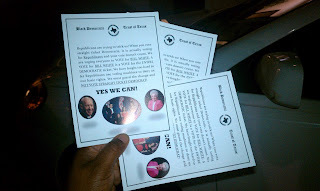 Posted in Uncategorized | Comments Off on COCKTAILS AND CANDIDATES IN HOUSTON! Getting involved with politics is essential to your survival…and one Houston group stressed that with their Cocktails and Candidates forum Tuesday night. It was put on by David Anderson and his team of supporters. It was your chance to hear from some of those who are seeking public office in Houston. It was held at Faces on Almeda. Kalele Party/Politics King Thumbutu was in the place snapping high quality photos for the Insite. Some of the speakers included David Anderson, Senator Rodney Ellis and Dallas Jones. Also attending was Eric Carr and many others! SHOULDN’T THERE BE A PRISON SENTENCE FOR LIARS WHO INTENTIONALLY TRY TO MISLEAD THE VOTERS? Posted in Uncategorized | Comments Off on SHOULDN’T THERE BE A PRISON SENTENCE FOR LIARS WHO INTENTIONALLY TRY TO MISLEAD THE VOTERS? Thew Insite keeps hearing one name over and over again when it comes to dirty tricks in Houston politics. That man is based in Houston and is known for taking advantage of his own people to earn a quick buck. That man is apparently up to it again. He’s putting out this fraudulent voter information card in the Black community. It tells voters not to vote straight Democratic in the 2010 Midterm elections. The card mislead the voter by claiming if they vote straight party ticket their vote won’t be counted. Who does something like that? It’s shameful and disgusting to attempt to intentionally mislead voters. The person who I’m hearing put out this card does this in every election. And I’m told he’s man who’s up for sale and will sell his own people out for the right price. If I had solid proof, which I’m working on, I’d turn him into the Justice Department and demand an investigation. 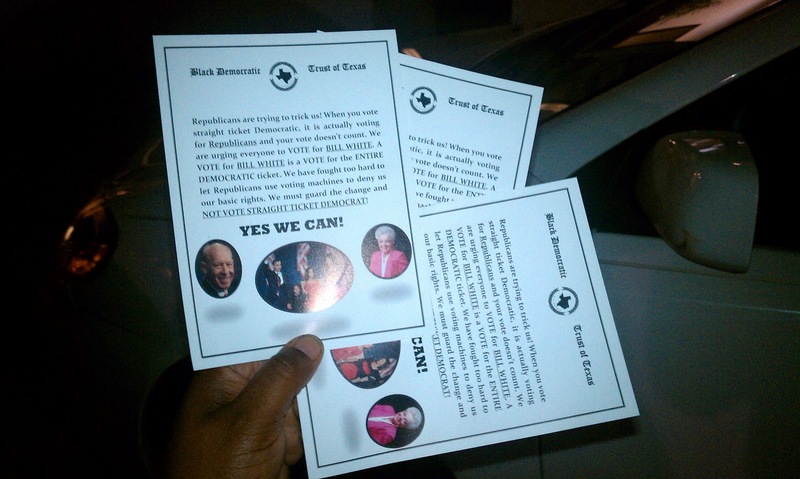 If you see this phony card put out by a phony group called the Black Democratic Trust of Texas – just throw it in the trash! *Straight ticket voting is an option, not a requirement. It instantaneously registers votes for every candidate on the ballot affiliated with the party of the voter’s choice. • Voting straight ticket will record your vote for the presidential candidate of that party and for the party’s candidates in all other contests. Rumors to the contrary are false. • If you select the option and then cast a vote for a candidate from another party in a particular contest, that selection will override the “straight party” option only for that race. • Voters can change any of their choices before pressing the “cast ballot” button. Check the “summary screen,” which shows how all of the selections were recorded before pressing the “cast ballot” button. • Voters who live in state Senate District 17 will see that race at the beginning of the ballot, before the straight ticket option, which will not apply to that contest, in which four Republicans and two Democrats are running. VOTER INTIMIDATION ALLEGATIONS SPUR BLACK MEN TO BECOME POLL WATCHERS! Posted in Uncategorized | Comments Off on VOTER INTIMIDATION ALLEGATIONS SPUR BLACK MEN TO BECOME POLL WATCHERS! METRO’S TERENCE FONTAINE IS MOVING ON UP! Posted in Uncategorized | Comments Off on METRO’S TERENCE FONTAINE IS MOVING ON UP! 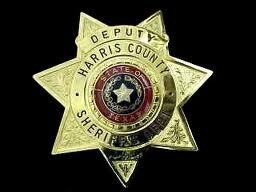 HARRIS COUNTY DEPUTY SHERIFF INDICTED BY THE FEDS! Posted in Uncategorized | Comments Off on HARRIS COUNTY DEPUTY SHERIFF INDICTED BY THE FEDS! Press Release: A sealed indictment charging a Harris County Deputy Sheriff for allegedly accepting bribes to access confidential law enforcement databases and provide protection for a purported ecstasy dealer has been unsealed, United States Attorney José Angel Moreno announced today along with FBI Special Agent in Charge Richard C. Powers and Harris County Sheriff Adrian Garcia. Harris County Deputy Sheriff George Wesley Ellington was arrested yesterday by FBI agents with the assistance of the Harris County Sheriff’s Office. The two-count indictment charging Ellington, 38, of Houston, was unsealed today following his initial appearance before United States Magistrate Judge Stephen W. Smith. Ellington has been ordered temporarily detained pending a decision of the court on the issue of bond to be decided tomorrow at 2:00 p.m. The indictment and Ellington’s arrest is the result of an investigation conducted by the Harris County Sheriff’s Department and the FBI. 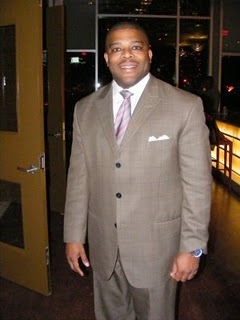 The indictment alleges that in February 2010 and again in April 2010, Ellington received $500 for using his position as a Harris County Deputy Sheriff to access confidential information from secured law enforcement databases and for providing security/protection in his capacity as a Harris County Deputy Sheriff to a person he believed was illegally possessing and transporting 3, 4 Methylenedioxymethamphetamine (MDMA), commonly called Ecstasy. Each of the two charges against Ellington carries a maximum penalty, upon conviction, of 20 years’ imprisonment and/or a $250,000 fine. HOUSTONIAN GOES NATIONAL: KATHRYN GRIFFIN TOWNSEND! Posted in Uncategorized | Comments Off on HOUSTONIAN GOES NATIONAL: KATHRYN GRIFFIN TOWNSEND! The Iniste has learned Houstonian Kathryn Griffin Townsend has gone national. 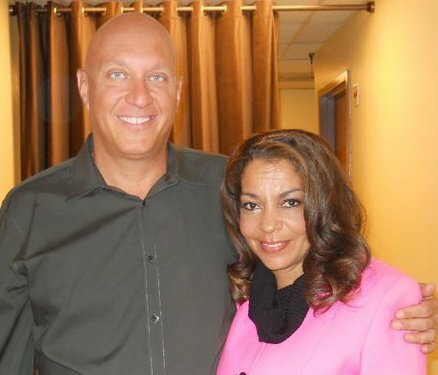 Griffin has signed on as a consultant to the Steve Wilkos show. She will make appearances when needed to serve as a consultant for human trafficking and prostitution. Griffin says she’s very excited to have the opportunity to appear on the Steve Wilkos show. As many of you may remember Steve was the security guard who became a household name while working on the controversial Jerry Springer show. Griffin was in Connecticut just last week to shoot her first episode. The Insite has been told it will air November 3rd, 2010 at 9 am. on Houston’s CW 39. Griffin is also planning a major watch party for the event so stay tuned to the Insite for more details. And congratulations Kathy!